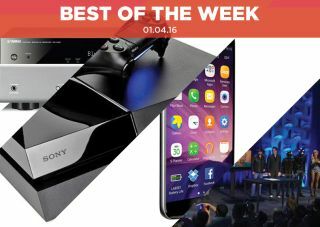 Best of the Week: 4K PlayStation, Samsung Galaxy S7, Tidal streaming and more | What Hi-Fi? This week Tidal announced it had reached the three million mark in paid subscribers, reports abound that Sony is looking to release a 4K capable version of its PS4 and Yamaha announced its 4K-ready lineup of RX-V81 AV receivers. Elsewhere we had reviews of Samsung’s Galaxy S7 smartphone, B&O’s Beolit 15 wireless speaker and the V 80 SE valve amplifier from Octave. MORE: AptX HD: What is it? How can you get it? It's nearly a year since Jay-Z swept in and bought streaming service Tidal and in that time it's made significant progress. Tidal claims it now has three million subscribers, 45 per cent of whom are paying for the £19.99/month tier. It's far less than Spotify's 30 million subscribers, but a huge increase on the claimed 500,000 subscribers it at Jay-Z’s acquisition. Kanye West's much-hyped The Life of Pablo played its part. It was streamed 250 million times in its first 10 days, which sent Tidal to the top of Apple's app charts earlier this year. Is an upgraded PlayStation 4 on the way? According to reports that is a possibility. The console would come with a more powerful graphics processing chip (GPU) for 4K gaming and provide a smoother virtual reality experience, which Sony has confirmed is coming to the console in October. The original console would exist alongside the new model, with the PlayStation 4K aiming to entice those looking for a premium gaming experience. Yamaha announced its 2016 range of RX-V81 AV receivers, with 4K support available across the board. The five models also support the company's MusicCast multi-room audio technology, with the cheapest (RX-V381) priced at £350 and the most expensive (RX-V781) at £700. The former will be out in April, followed by a staggered launch for the rest of the range, ending with the V781 in June. We were impressed by Samsung’s S6 smartphone and felt there was little to improve upon. Samsung thought otherwise. It hasn't made huge changes, opting for small, worthwhile ones – increased battery life, the return of the microSD slot – that builds upon the S6’s impressive foundations. It's an effort that cements its place as the top Android smartphone - and it's the best phone we’ve yet seen from Samsung. So while you can take it to the park (along with your lunch), the Beolit is above all else a fun speaker. Its likeable sound and well thought out features make for a winning character. Octave Audio is a German company that we'd not come across, but we're looking forward to the next product we review. A valve amplifier for those who don’t like fussing with valve amplifiers, Octave’s V 80 SE features an entertaining presentation, excellent build and potential for upgrading components. If you want something that looks great and helps your music sound great, the V 80 SE is a great, if pricey, option.